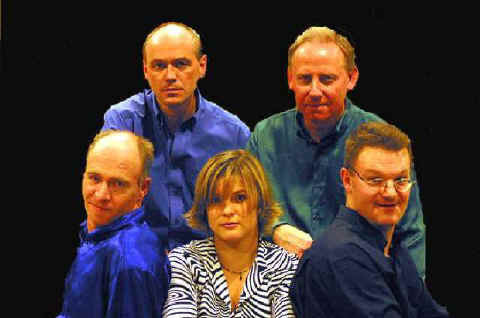 Rear: Martin Hone (Bass) and Steve Hall (Drums) Front: Martin Norman (Gtr), Kerry Rainey (Vx) and Tony Evans (Keys). Spooky Slim are a 5-piece Rock Band hailing from Hertfordshire and Essex. After an intensive year of gigging at the average rate of once a week all over the South East of England we are looking forward to an even bigger and better 2003. Having played a storming gig at the Rock Garden, Covent Garden, and a return this year we are looking forward to rapidly filling diary, including our debut at the Camden Underworld in February. Catch us while you can! This band is going places quickly. © Copyright Coda 2005. All rights reserved worldwide.